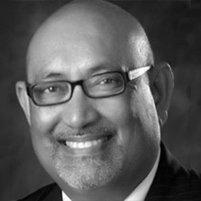 Center for Pain Management: Tajul "Tim" Chowdhury, M.D. Since 1994, trusted pain management specialist Tajul "Tim” Chowdhury, MD, has worked as the owner and physician at Center for Pain Management in Edinburg, Texas. Dr. Chowdhury specializes in acute pain, chronic pain, post-operative pain, diabetic pain, auto accident pain, and cancer pain. He's well-known for transforming pain into comfort by using advanced techniques and services that are perfectly suited for each patient's unique needs. Dr. Chowdhury earned his medical degree at Rajshahi Medical College in Rajshahi, Bangladesh. He then completed additional medical training at Boston University and Harvard Medical School, both in Boston. Additionally, Dr. Chowdhury completed general surgery training at Case Western University in Cleveland, Ohio. In addition to his work as a physician, Dr. Chowdhury has also worked as a medical field educator as an Assistant Professor of Anesthesia at Boston City Hospital in Boston. Dr. Chowdhury worked as Attending Staff Physician at St. Paul Medical Center in Dallas and was also the Medical Director and Chief of Anesthesia at Knapp Medical Center in Weslaco, Texas. Dr. Chowdhury is board-certified by the American Academy of Pain Management, a fellow in the American Academy of Disability Evaluating Physicians, and an active member of the American Academy of Medical Acupuncture. With more than 30 years of anesthesia expertise and 20 years of pain management expertise, Dr. Chowdhury is uniquely suited to provide the very best in pain management to his patients at Center for Pain Management. Dr. Chowdhury has a gift for patient care, and he always strives to ensure that patients have a comfortable experience. He loves his job, and it shows in the care he gives to each and every patient. Book an appointment with Dr. Chowdhury at Center for Pain Management online or by phone today.